Do you want to try some new Halloween décor ideas? Have a look at some fresh, truly eye-grabbing options that you can buy or DIY. Definitely, Halloween is great time for decorating! 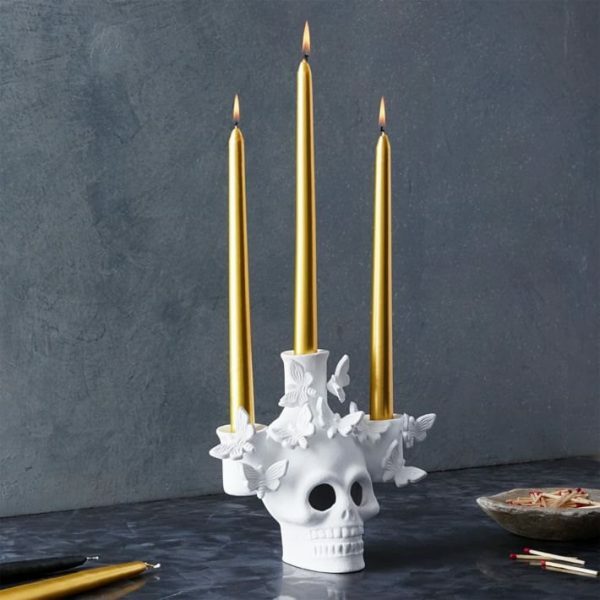 It’s time to unleash your imagination and dress up your living space with creepy décor. Looking for something fresh and different? Want to get into the Halloween mood with some trendy options? Check the pieces shown below. From delicious party food to unforgettable décor, these seasonal solutions offer unquestionably eye-grabbing alternatives to traditional Halloween décor. 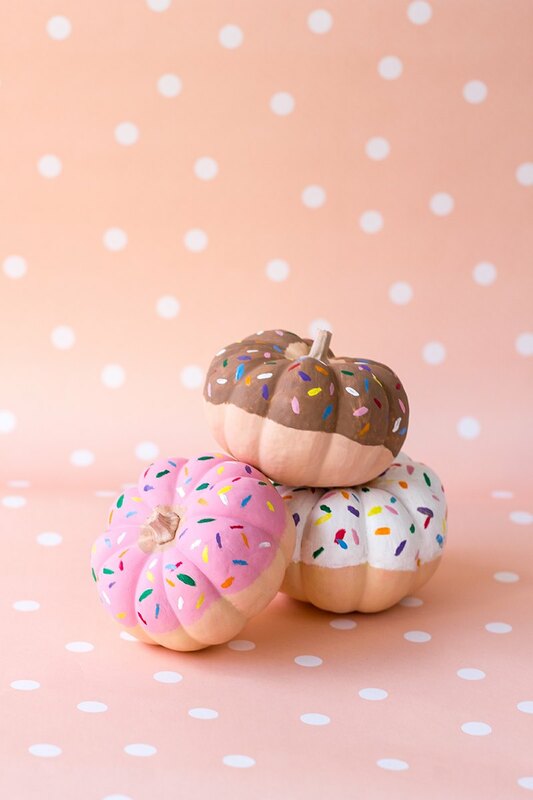 What about these DIY donut pumpkins? Aren’t they simply gorgeous? Don’t they look good enough to be eaten? The best part: you need only acrylic paint for this project! Don’t they look good enough to be eaten? The best part: you need only acrylic paint for this project! 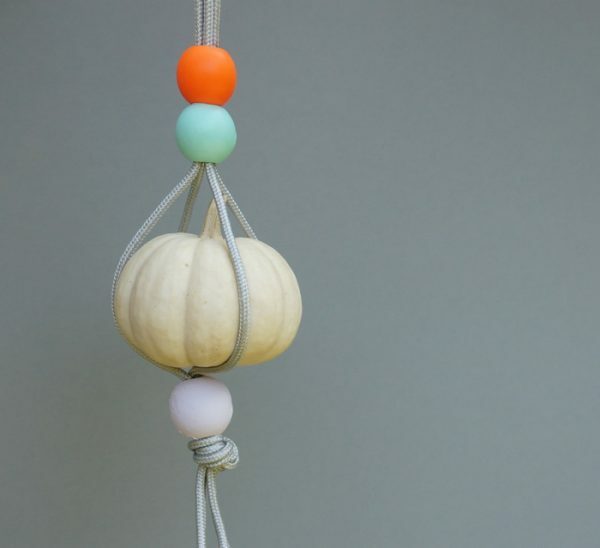 If you love hanging planters…make a hanging pumpkin! 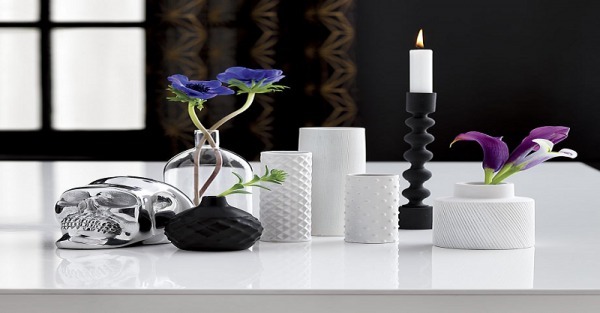 As the latest design trends are all about sculptural forms, instead of creating a vignette of ceramic pumpkins and fall leaves, try grouping a fascinating collection of vases in black and white. 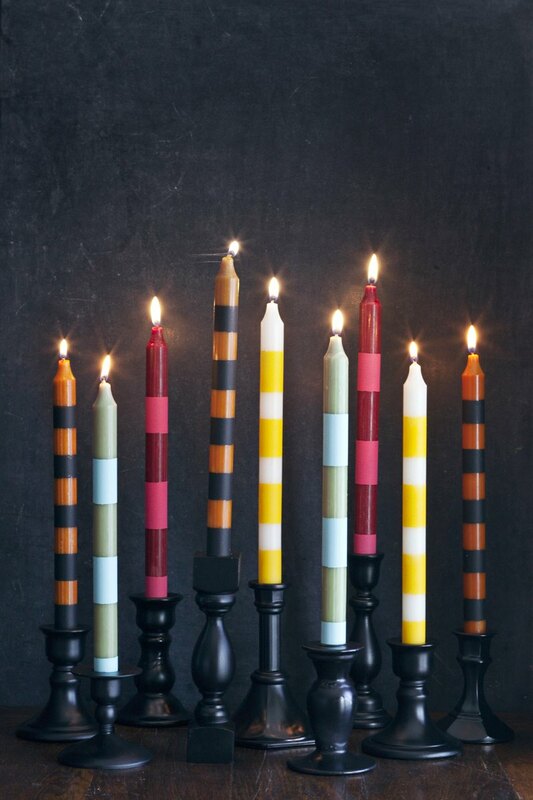 Isn’t the arrangement of striped candlesticks in the picture above truly cool? 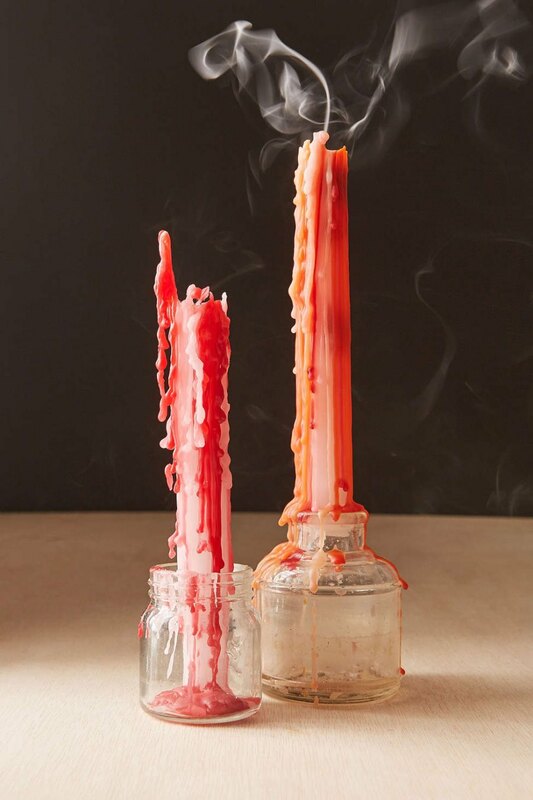 Just pair black and orange candlesticks with candles featuring unexpected color combinations for an original take on Halloween decor. You celebrate the Day of the Dead or you simply enjoy adding decorative skulls to your décor? Then, Halloween is a chance to shine the spotlight on the skulls! 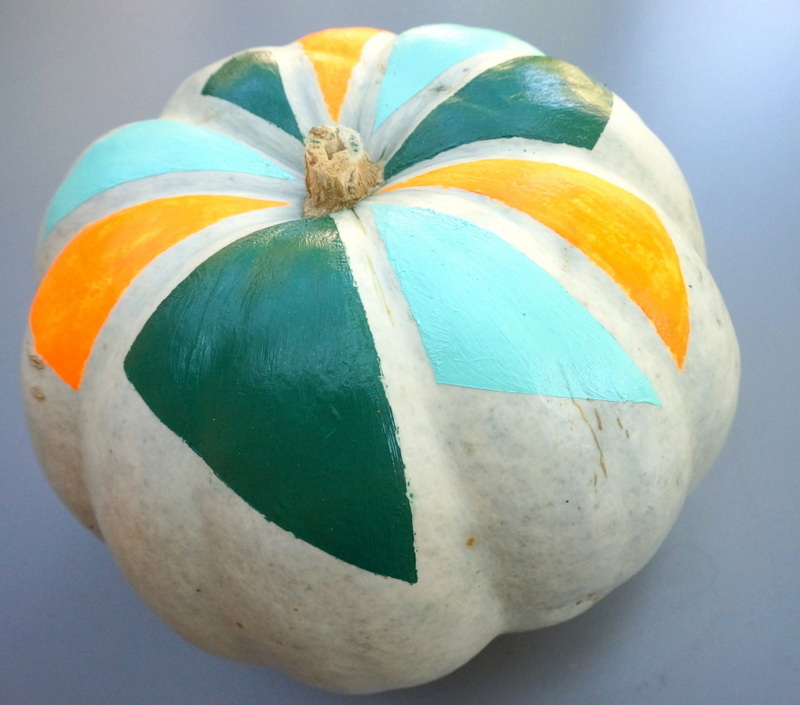 Are you going to incorporate any of these Halloween ideas into your festive fall agenda? Don’t hesitate to seek out the unique and unusual this Halloween.